The northern margin of Terra Sabaea is a complex area between a cratered highland and complexly eroded lower plains. 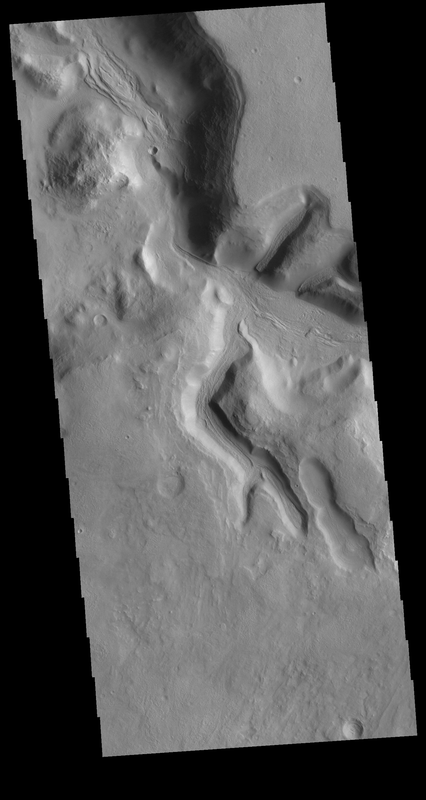 This VIS image of the region shows just one of the numerous unnamed channels. The 90 degree bends indicate tectonic fractures have played a part in the channel formation.